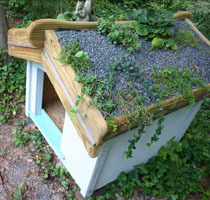 Here are directions for making your own green roof dog house. 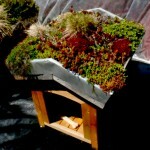 (Don’t miss the previous post on a do-it-yourself green roof veranda.) 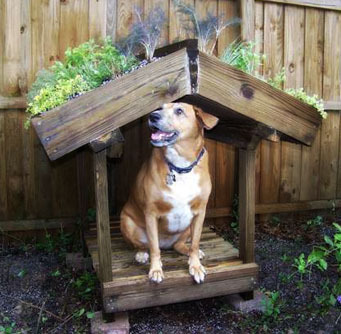 And be sure to check out these directions for making your own green roof dog house (scroll down) from the people at Sustainable Pet. 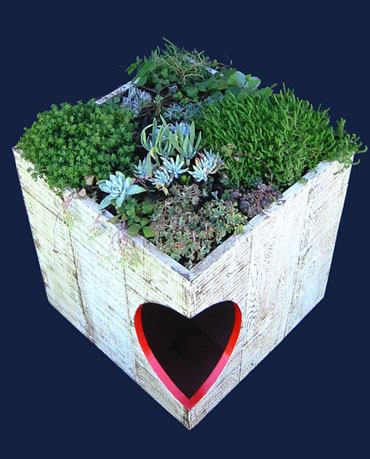 The two articles give information on supplies needed, what to use to water-proof, proper soil mixtures, and good plants to use—non-poisonous, don’t need fertilizer, pest free, native. 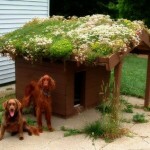 As I said in the previous posts on the green roof dog houses (DIY: Green Roof Veranda and Green Roof Dog Houses), a green roof dog house won’t save the planet by itself, but it can start the conversation, it can serve as a small scale trial for a larger green roof, and it can give your dog a comfy place to relax when she’s outside. I love the green roof dog houses at Sustainable Pet, but I can’t afford to spend $3000 on a dog house. 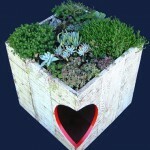 Instructables comes to the rescue again! 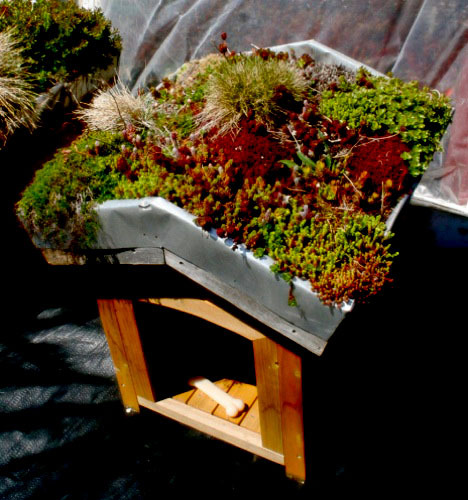 Check out this brilliant Do-It-Yourself Green Roof Veranda (less a house and more of a covered deck.) It has thorough instructions and lots of helpful photos with notes. You can do this! 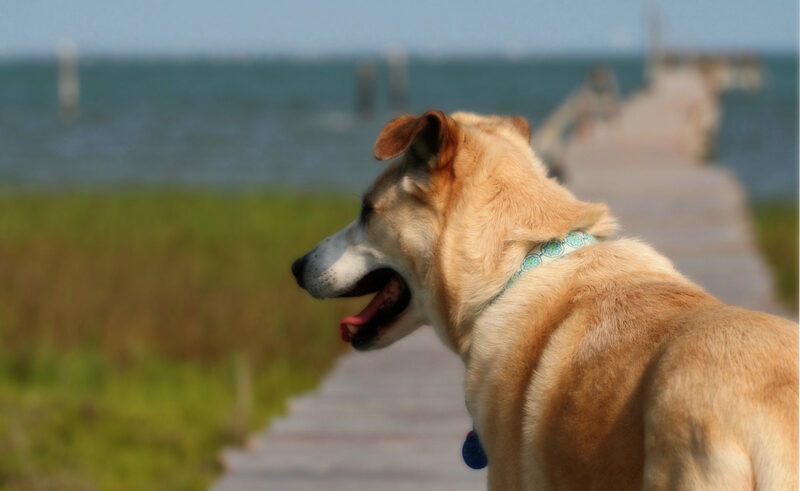 If you use pressure treated lumber, make sure you get a safe version, or use naturally rot-resistant wood like cedar or cypress, or use plastic lumber. I really like this design! It has a good over-hang so your pup will be well shaded and the floor is well away from the drain holes in the roof, so your pup will stay dry too. 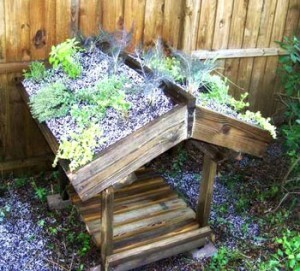 The elevated floor will keep your pet cooler and keep them away from bugs. 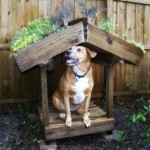 You can easily put a blanket or a pad on the floor to give your dog more cushioned spot to hang out. 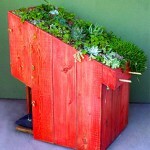 And the Green Roof Veranda will look great in your garden. 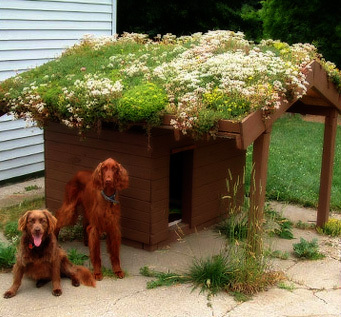 As I said in the post on the green roof dog houses you can buy, the Green Roof Veranda won’t save the planet by itself, but it can start the conversation, it can serve as a small scale trial for a larger green roof, and it can give your dog a comfy place to relax when she’s outside.